So last year I accidentally watched a Korean drama. And by "accidentally", I mean that I decided to check out Boys Over Flowers on Netflix after hearing something about it on an Amazon book review and then fell into a hole for the next three days until all 30+ hours of it were in the can. And then... I just kept going with the marathons of Kdramas. I listened to some Kpop. I became a weekly viewer of Running Man. I considered eating Kimchi even though that's so not even an option for my tastebuds. And ultimately decided that I absolutely, without question had to try some Korean beauty products. It seems that this was about the time when the Kbeauty invasion started and everyone was getting on the train with all of the BB Creams and adorably packaged, ahead of the game products that are on offer from South Korea and I got right on board too. These were one of the first products I tried and over a year later still one of my absolute favorites. This eyeliner is available in 20 different shades and I own 4 of them. 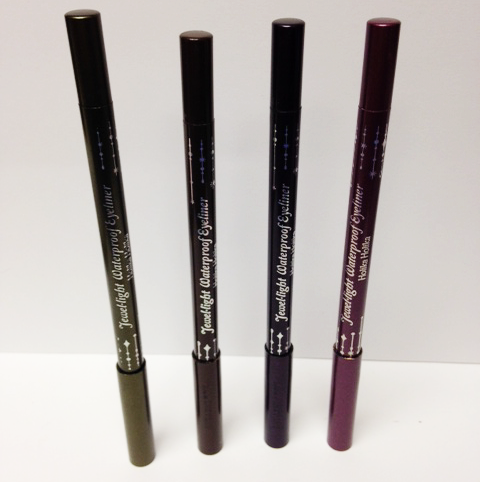 Olive Jade, Black Plum, and Burgundy garnet all have a sparkle to them which gives something of a metallic type finish. Amber Brown is a rich, matte dark brown with fine gold/copper glitter in it. 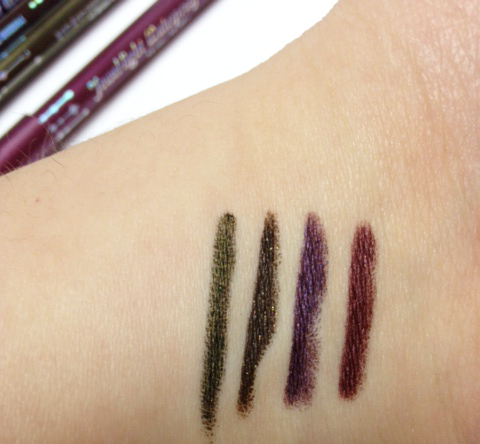 All four of these have very rich, highly pigmented colour. 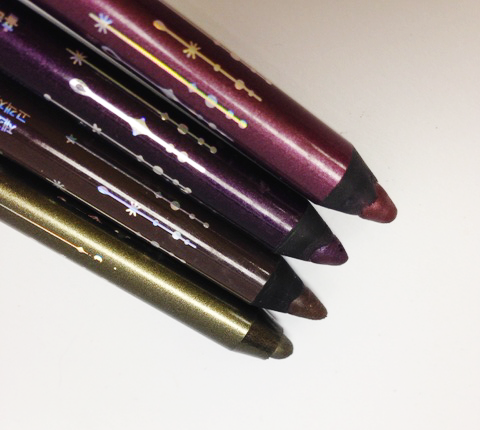 With all of these, the formula is creamy and applies with full colour in one swipe. However, with Olive Jade I would recommend warming it up just a little bit on the back of your hand before you apply it to the eyes or it can have a bit of drag - and I mean it, just a bit. As far as being waterproof, this product is absolutely not lying. The first time I swatched Burgundy Garnet, I let it sit for maybe a minute before I tried to rub away the swatch and it didn't move at all. Even after washing my hands several times that day, remnants of the swatch remained. I haven't tried any of these liners in my waterline (because I don't actually want shimmer or glitter to be going into my eyes) but as a lower or upper lash liner this stays put all day and maintains a really beautiful look. You will definitely need a good eye makeup remover to get this off your eyes, though, because it's in it for the long haul. 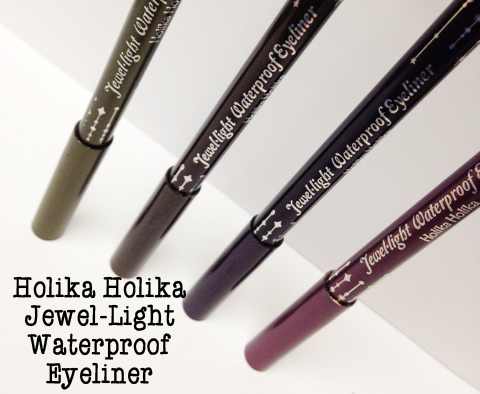 These liners retail for anywhere between $5 and $9 depending on where you buy them, and the best price I've found thus far is at BeautyNetKorea, where you can also get a deal if you buy 2. These are absolutely in my top 5 favorite Korean products that I've used thus far... and at this point, especially since Memebox came into my life, there have been many. This is a big time recommendation.